Scott will return to host the world’s largest commercial sports awards for the second time alongside fellow returning presenter Mark Durden-Smith. It follows 12 months in which Scott has established herself at the forefront a watershed in women’s football’s evolution, as unprecedented media, sponsorship and rightsholder investment continues to flood into the game. Scott herself made history in August when she became the first female pundit to appear on a Sky Sports Super Sunday, at the end of a summer in which she made waves as a fresh addition to the BBC’s World Cup team. As a player, the Londoner won 140 England caps and captained Arsenal, helping the club achieve a historic “quadruple” in the 2007 season. Scott will team up with the inimitable Durden-Smith to guide 1,700 guests through proceedings as the winners of the world’s biggest and most prestigious commercial sports awards are revealed in a star-studded celebration. Scott said: “I’m really excited to be returning as a presenter of the BT Sport Industry Awards. “A lot has happened – and changed – both in my career, and in sport in general over the past 12 months. I just love doing my job and if that helps others see what is possible, well then I’m proud to be one of many women doing my bit in a transformational year for women in sport. 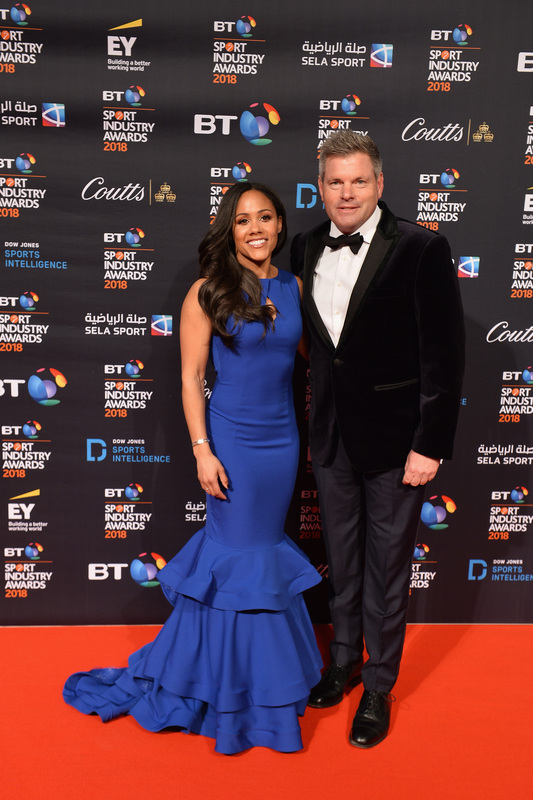 Sport Industry Group, organisers of the BT Sport Industry Awards, revealed that a number of surprise appearances can also be expected on the night. Previous guests of the event have included HRH the Duke of Sussex, Eddie Izzard, Sir Mo Farah, Sir Ben Ainslie, Dame Jessica Ennis-Hill, Anthony Joshua, David Beckham and countless further leading names from the world of sport. The evening, which has sold out every year for the past five years, is recognised as the greatest annual commercial and creative showcase in sport. Silver tables for this year’s event have already sold out but limited other ticket and table packages are available. A new Networker ticket has also been introduced for 2019 – aimed at newcomers and others wishing to attend alone for professional and business development purposes.